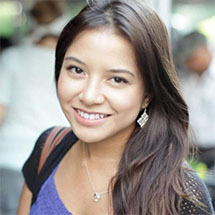 iD Tech alumni have been known to launch app development startups, found nonprofits that bridge digital divides, organize STEM programs for underprivileged peers, and so much more. The resourcefulness and ambition of our students continually inspires us and reaffirms why we love our jobs (and why we're the world's leading summer tech camp). Chances are, there are companies and organizations you've heard about but didn't realize were spearheaded by iD Tech students! With our 2016 season well underway at over 130 locations nationwide, we know many of you are wrapping up camp each week and asking "what's next?" The truth is, the possibilities are as limitless as your creativity and internal drive. Meet the students below and get inspired to take your own next steps as tech entrepreneurs, local change-makers, and STEM role models. Some of these young entrepreneurs' endeavors began prior to camp, and they looked to iD Tech to further develop their skills. Other projects were inspired by camp and were made possible by the wealth of new knowledge. Every story is different--discover what resonates with you! About the Company: At a charity event in late 2013, Ritik and his father conceived the idea for Irixs. They were passionate about the prospect of 3D printed eyewear, and concepts soon became prototypes. Today, Irixs produces fully customizable, beautifully designed 3D printed glasses and partners with nonprofit Eyes for the World to bring eyewear to underprivileged people worldwide. Learn more about Irixs. 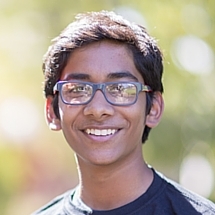 Experience at iD Tech: After taking 3D design courses at iD Tech Camps held at Stanford in the Bay Area, Ritik increased his existing skill set and was able to create "more complex and interesting" projects. About the Organization: Technior connects generations by pairing tech-savvy teens with senior citizens who wish to learn more about technology. The organization directly assists high schools and student groups looking to start their own branches of Technior. All classes are free to seniors and satisfaction is guaranteed. Learn more about Technior. 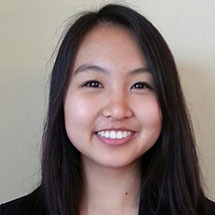 Experience at iD Tech: Sharon received an iD Tech scholarship and studied robotics at our Stanford camps. iD Tech introduced her to the power of technology and allowed her to meet new friends with similar interests. About the Company: Brick Loot is a monthly subscription service geared towards LEGO and BRICK lovers. Each month, members get a box filled with building kits, including a custom, exclusive build with LEGO bricks. According to Parker, the items in the box are carefully researched and selected and "are not things you can go to the toy store and buy" on your own. Learn more about Brick Loot. 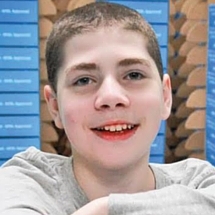 Experience at iD Tech: After taking multiple game design and app development courses at iD Tech Camps, Parker has plans to build an app for Brick Loot. About the Organization: Immunity Project is a nonprofit initiative dedicated to developing an HIV vaccine "to give away to the world for free." They utilize machine learning and big data for research, and partner with Flow Pharma (a prestigious biotech firm) and Until There's a Cure (an HIV/AIDS nonprofit) to achieve their goals. Learn more about Immunity Project. 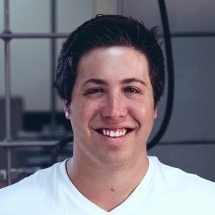 Experience at iD Tech: Ian attended multiple seasons of iD Tech Camps and credits the program with starting him along his successful career path. An MIT graduate, he has said that his love for coding and engineering took root at camp, inspiring to aim big for college and future endeavors. About the Organization: CoderDojo NYC is a volunteer-run nonprofit that teaches web design, game design, app development, and more to kids and teens. Free coding clubs and regular sessions are available, empowering students to collaborate, create, and ultimately succeed in college and the tech world. Learn more about CoderDojo NYC. Experience at iD Tech: Rebecca's journey began as a 14-year-old girl at iD Tech Camps held at MIT, giving her an early chance to explore her interests and passions. Two weeks of camp "changed her life," and she was introduced to the idea of technology as a fun and rewarding career. About the Company: Quotus Systems, LLC was established to build websites, apps, and other tech products for clients in need. The company's all-in-one social networking tool weSocial was recently released for the iPhone and iPad, and has been well-received in the Apple App Store. Additionally, Justin started the Bahamas Urban Renewal Project to bring foundation tech tools and knowledge to underprivileged students abroad. Learn more about Quotus Systems. Experience at iD Tech: Justin attended iD Tech Camps and sparked his love for STEM subjects like app development and filmmaking. These students--and many other iD Tech campers and alumni--exemplify the spirit of innovation and entrepreneurship. They combined their passions with the one-of-a-kind skills learned at iD Tech in order to create BIG things from the ground up. You can, too. Whether you're interested in coding, game design, app development, filmmaking, robotics, philanthropy, or some combination of the above, you can start small and achieve awesome results. 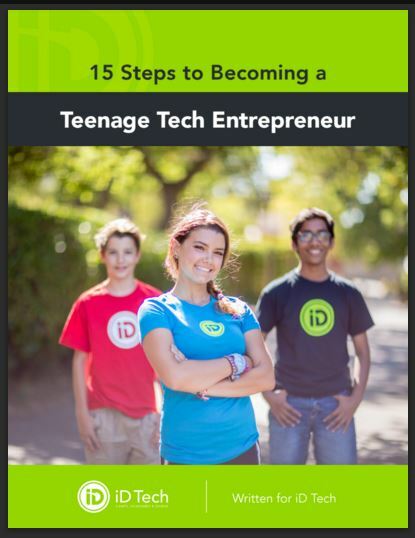 Find a camp location near you or learn how to become a young tech entrepreneur by downloading the free eBook below. Want to meet more of our outstanding students? 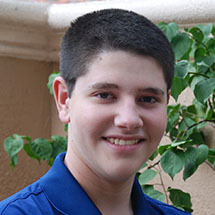 View all iD Tech student success stories. Have a story of your own to share? Email ItStarted@iDTech.com.